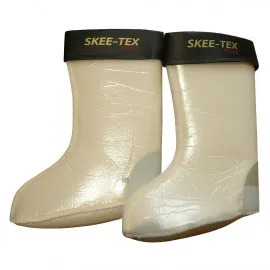 When it comes to angling clothing, fishing waders and boots are among the most essential products in an angler’s wardrobe. We anglers spend all our time at the water’s edge, so it follows to reason that we might have to get our feet wet from time to time. With Angling Direct’s collection of boots and waders for sale you don’t have to worry about taking the plunge; whether you’re after a pair of waist waders to slip over your trousers at a moment’s notice or you’re going to be stood chest deep and are need of some neoprene chest waders, Angling Direct will make sure you’re kept warm and dry. We’ve put together a collection of footwear from the world’s leading manufacturers to make it as easy as possible for you to make the right choice. We permanently stock dozens of lines covering every imaginable need, budget, and fishing style across the board, allowing you to take home the right tools at the right price – our collection of boots and waders for men really is extensive. 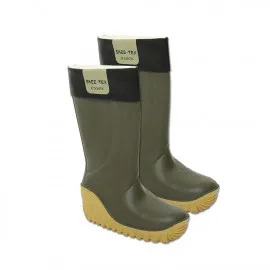 Whether you’re looking for a simple pair of emergency wellington boots or the latest technological advances in breathable chest waders for your fly fishing excursions, you’ll find the very best of the bunch right here under one roof. Our range of footwear covers everything from trainers to heavy duty walking boots. 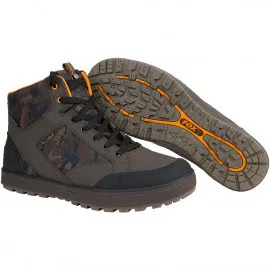 All the footwear has been designed with anglers in mind, so all of it is suitable for standing on slippery banks or awkward terrain, and much of it is completely water resistant (please check product specifications prior to purchase). 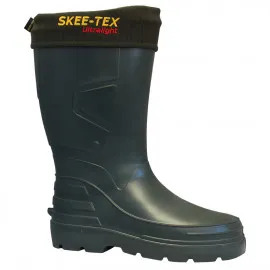 For those anglers who know they are going to be getting their feet wet, we also stock a range of wellington boots. 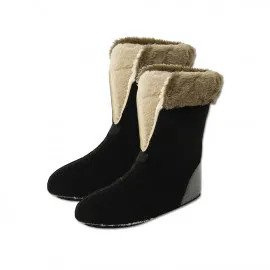 However, these aren’t your bog standard garden boots. Our selection of wellingtons is all specially constructed for people who are going to be spending extended periods of time in wet conditions. 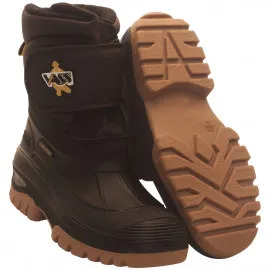 As such, many of the boots have reinforced soles to give extra protection for those scenarios when it may not be possible to see what you are about to step on under the water. These soles are often studded or otherwise ridged to provide even more grip on slippery surfaces. 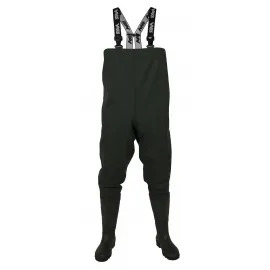 Our fishing waders have all been designed to hold their own underwater. From thigh-highs to chest waders, we’ll keep you dry no matter how deep you want to go. 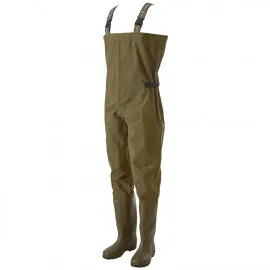 Waders are one of the most useful editions to an angler’s wardrobe and they can make the world of difference to your bankside success. Neoprene is a material most often used in the aquatic sports industry to make water-tight scuba suits, so you can be confident that a pair of neoprene chest waders will keep you warm and dry for hours whilst you’re stood in the water fly fishing. A pair of thigh waders could be the difference between a personal best capture and a devastating hookpull when your carp starts to kite towards a lethal snaggy patch in your syndicate water. Breathability is just as important as watertightness and breathable chest waders are designed to keep you dry from the inside as well as from the out, which is perfect for the angler who wants to be prepared to take the plunge at any moment. For the angler who is simply going to be pulling up their neoprene waders for a quick dip, breathability might not be such an important factor and a pair of simple waist waders will more than get the job done. Whether you’re sea fishing, having to wade a short way into the brine to get the distance on your cast, or specimen fishing in Europe, getting ready to cuddle up to a huge wels-catfish, specialist gear is essential. 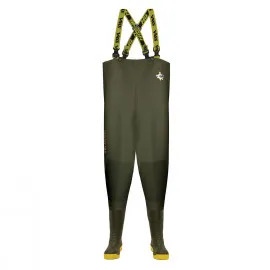 This is why we are proud to have a huge collection of waders for men in our range, so, regardless of whether you’re looking for high performance breathable waders or a pair of thigh waders that act as an extension to your fishing boots, you’ll be able to find the perfect pair for you. 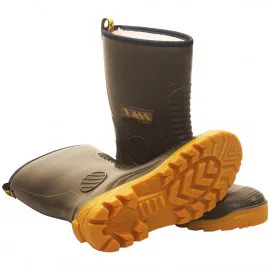 It takes a lot to earn the Angling Direct seal of approval, which is why our permanent collection of boots and waders for sale features an assortment of world-leading brands famed for superior performance. 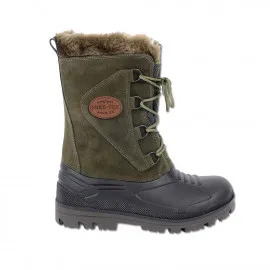 We’re proud to list footwear from wet weather experts Sundridge, cold-weather experts Skee-Tex, and performance textile experts Vass, and so many more – all of whom have earned our respect and trust over the years. If a product has made it to the Angling Direct collection, you can rest assured it has measured up to the mark in every conceivable way. All products come complete with extensive manufacturers’ guarantees and our own seal of approval. Not only this, but all the products we sell are supported by our excellent customer services team. The team are happy to assist at any stage of your order, and you can find all their contact details on their dedicated web page. Keep a close eye on our fishing tackle ranges to see what’s new, or check out our special offers from time to time for the biggest savings of all. We price check our products to ensure you’re getting the best deal on the market, so keep your eyes peeled for the price checked sticker on the product page.